The International Biathlon Union (IBU) has given Russia until February 24 to relinquish the right to host the IBU 2021 World Championship, planned for the Tyumen region. The congress voted on the 3 proposals in the athletes' letter of Jan. 13th 2017. RBU has been asked to return the 2021 WCH in Tyumen to IBU. During the IBU congress in Fieberbrunn, Austria, on Wednesday, the organization decided to ask Russia to voluntarily give up its right to host the World Championship – otherwise the body would annul the original decision on selecting Tyumen to hold the event. 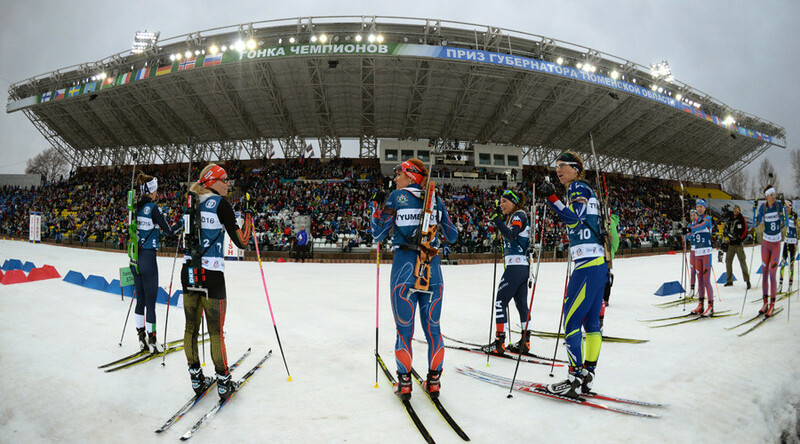 "Regarding the IBU World Championships Biathlon 2021, the Congress voted against adding the vote to its agenda on the withdrawal of the event from Tyumen/RUS," said the statement, which was published on the organization's website. "Therefore, the Executive Board took the responsibility to invite the Russian Biathlon Union to return the IBU WCH 2021 until February 24, 2017. Otherwise, the EB has decided to annul the award of the IBU WCH 2021 to Tyumen/RUS." Following the news, the Russian Biathlon Union (RBU) said that it’s not looking to return its right to host the competition. “We are definitely not going to voluntarily give up the hosting of the world championship,” RBU head Alexander Kravtsov told TASS. “We keep our right to use the practice of law regarding the situation with today’s congress. We will consider the opportunity to take that to the court. I am not only talking about the Court of Arbitration for Sport in Lausanne. There is also a proprietary part of the situation, which is called the extraction of the lost benefits,” he stressed. The IBU Congress originally chose Tyumen to host the 2021 World Championship in September 2016. The World Anti-Doping Agency (WADA) later ordered an inquiry into the IBU decision, as the International Olympic Committee (IOC) had earlier recommended that international winter sports competitions not be held in Russia. The recommendation followed the release of the WADA-commissioned report of Canadian doctor Richard McLaren on alleged state-sponsored doping in Russia. In January, 22 of 29 Russian biathletes who had been suspected of doping following the publication of the report were cleared of any wrongdoing by the IBU. It has also emerged that one of the seven biathletes still under suspicion by WADA had already been disqualified by the Russian Anti-Doping Agency (RUSADA), the IBU told TASS on Wednesday.